Made in Yorkshires latest breakfast event was hosted by Crompton Controls on Thursday 12th of October at their Monckton Road Industrial Estate in Wakefield. Crompton Controls manufactures and supplies high quality electrical equipment including standard motor starters, components and fully customised complex control solutions to a wide range of industries and market sectors. They have continued to innovate and by nature responds to customer demand. This approach coupled with long experience and true expertise in its chosen fields, a strong in house technical capability and an increasingly professional sales and marketing strategy enables the business stay ahead of its competitors, be inventive and very focussed on customer service. 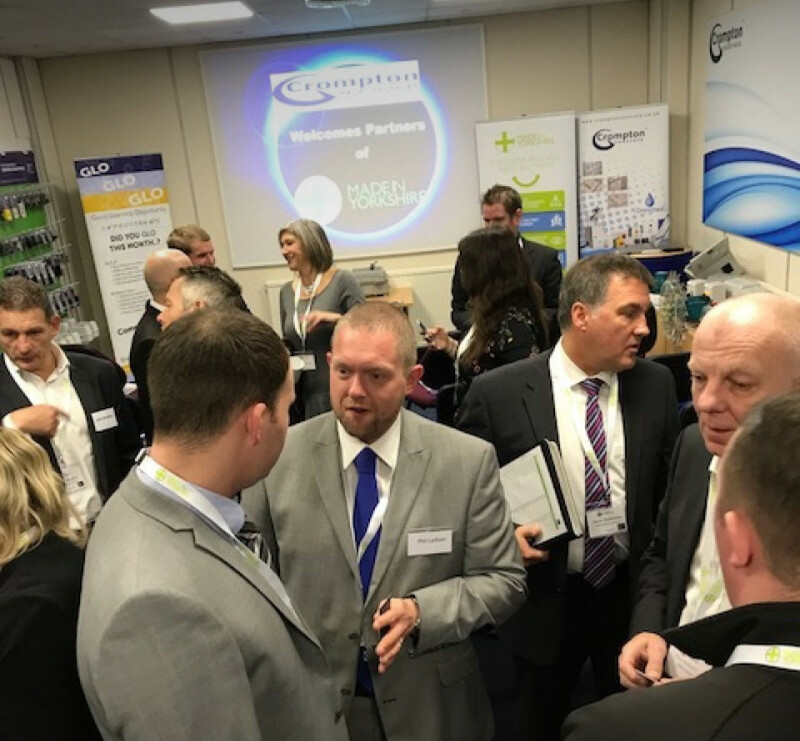 We welcomed 25 guests to Crompton Control's Wakefield factory, and tasked them with a different type of networking. All members numbered their business cards 1, 2, 3 and swapped with people they wanted to speak to. This created three five minute mini meetings where members discussed whatever they liked. Nigel Hall gave us a short presentation of Crompton Control's impressive history and current work. We were then treated to a factory tour, and a practical demonstration of the Drenched product with Phil Ledson.